The right to blow the whistle to expose potential abuse and to be protected by the law and civil service procedures is integral to ensuring that public bodies uphold transparency and accountability values. However, this is not the case for international organisations. New research has found that international organisations often do not provide the same whistleblower protections as those found in democratic states like Australia. In our study, we find evidence that international organisations often do not protect whistleblowers. This research focused on six New York and Washington-based international organisations: the United Nations, World Bank, International Monetary Fund, Organisation of American States, Pan-American Health Organisation and Inter-American Development Bank, and featured interviews with civil society actors, law firms and persons familiar with the World Bank Administrative Tribunal and the United Nations Administrative Tribunal. 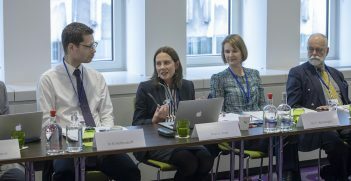 There are multiple cultural and structural-legal constraints to accessing justice for whistleblowers in international organisations, including unique understandings of loyalty, as well as impartiality and immunities. An international civil servant’s loyalty is not to his or her home state but to the international organisation. This principle of loyalty is founded upon the desire for impartiality. This impartiality is important as it allows international civil servants to cultivate a more internationalist outlook and discourages overt influence upon global policy creation and its transnational administration by member-states desirous of manipulating outcomes to their advantage. 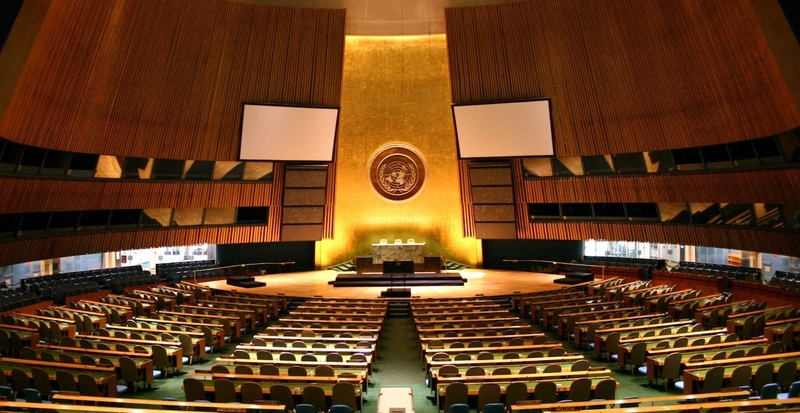 At the same time, this desire for loyalty to the international organisation and the location of policymaking within transnational spaces has historically disallowed international organisation whistleblowers the protections required to expose potential misdeeds. Moreover, the immunities granted to the organisation and its international civil servants were given to protect them from member-state influence. The immunities make it nearly impossible to prosecute either an international civil servant or an international organisation for their misdeed. A recent example includes the United Nations’ refusal to lift its institutional immunity and to allow the families of more than 9000 Haitian cholera victims to sue the United Nations. Before the arrival of cholera-carrying UN peacekeepers in mid-2012 to Haiti, cholera was unknown to the country. Our research discovered that the whistleblower term is often undefined in many international organisations and thus, any training provided to international civil servants is often haphazard, insufficient or non-existent. Moreover, some of our interviewed ethics officers and ombudspersons dismissed many of the whistleblowing cases as merely job- and career-related. This included an observation that many whistleblowers were “system abusers” or “repeaters”, a characterisation that only helps to discourage international civil servants from coming forward. Other hurdles include insufficient protection against retaliation and limited-to-no restitution. In an analysis of the United Nations’ Ethics Office, the office had only found in favour of a whistleblower once in six years, despite its handling of nearly 300 cases of alleged retaliation. Such statistics create an appearance of a deck stacked against the whistleblower. Where whistleblowers have attempted to seek justice via internal administrative tribunals, the whistleblower often faces significant resource gaps compared with the organisation’s general counsel, whose purpose is to defend the international organisation against whistleblower allegations. Related hurdles include the frequent hiring of international civil servants on short-term contracts and the dependence of personnel on a visa to stay within an international organisation-hosting country. Short-term contracts put people in tenuous situations where future contracts may not be extended if a contractor is deemed likely to “rock the boat”. Contract extension or even an offer of full-time employment is linked to the ability of personnel to stay in the host country. In the United States, for example, its G-4 visa allows international civil servants to enter the country and to work with the specified international organisation. For many international organisation personnel, working at such an organisation is often a highlight of their career. If the employee comes from an unstable country or a country with limited employment prospects, the risk of blowing the whistle, losing their job and the visa, and then quickly uprooting their family back to their home country may be especially hard to bear. Each hurdle makes the decision to blow the whistle even more difficult. When whistleblowers face such hurdles, they may opt to say nothing and thus, limit the chance for potential international organisation abuse to become exposed. In a global governance system in which citizen participation and the typical checks and balances found within democratic states are frequently absent, change may come slowly, if at all. Despite the United States’ commitment to encourage the international organisations funded by American dollars to have whistleblowing procedures, other countries including Australia overlook this practice. In the case of the United Nations’ World Intellectual Property Organisation (WIPO), the U.S. Congress under President Obama twice withheld 15 per cent of its annual dues because of the failure to address concerns raised by an Australian citizen, Dr Miranda Brown, who testified before a Joint Committee of the U.S. House of Representatives in February 2016. Given Australia’s ongoing decision to defend WIPO’s Director-General, it is unlikely that Australia will similarly encourage international organisation whistleblowing protections as a condition of its dues payments. This is despite Australia’s long-standing efforts, including a 2009 parliamentary inquiry to protect whistleblowers within Australia’s own public service. The road ahead for international organisation whistleblowers will be a long and hard one. The sunshine of transparency may be encouraged within democratic states such as Australia even if another standard is pursued at the global level. Dr Kim Moloney is a Senior Lecturer in Global Public Administration and Public Policy at Murdoch University. Dr James S. Bowman is a Professor of Public Administration and Director of the Masters in Public Administration Program at Florida State University. Dr Jonathan P. West is a Professor of Public Administration and Chair of the Political Science Department at the University of Miami. 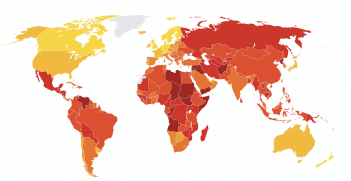 Australia has retained its ranking of 13th position in Transparency International’s Corruption Perception Index for 2018.